I hope your day is off to a great start. I'm trying desperately to clear out my Craft Corner so that I can paint my room....yuck....what was I thinking? It started out as "I'm just going to better organize my stamps" into "lets just do the whole stinkin' room"! I now have stuff scattered in 3 rooms as I try to make room to begin painting while still leaving myself room to work. Again...what was I thinking?? This is one of those projects that I see taking months to complete. Wish me luck...please! I started with the new "Vertical Nugget Card" from SVG Cutting Files. I didn't have ribbon in the color that I needed, so, I colored some white seam binding with a Copic Marker...ta...dah....the perfect shade of blue! 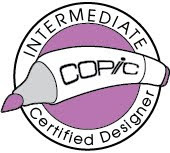 I also used a Copic to color a bit of white twine to create the gray I needed for my card. I'm planning on entering this sweet Valentine card into the current challenge "Valentine's Day Theme" going on over at Jaded Blossom. This is beyond gorgeous!!! Yikes, you sound like me...start to do one thing...then end up taking on the whole place...good luck!! Love this card don't you just love those new dies. Thanks for joining our Challenge over at Jaded Blossom. Your card is so darling! I just love it! Good luck with your room!! I sooo need to do this, too, but can't seem to get started. WOW!! 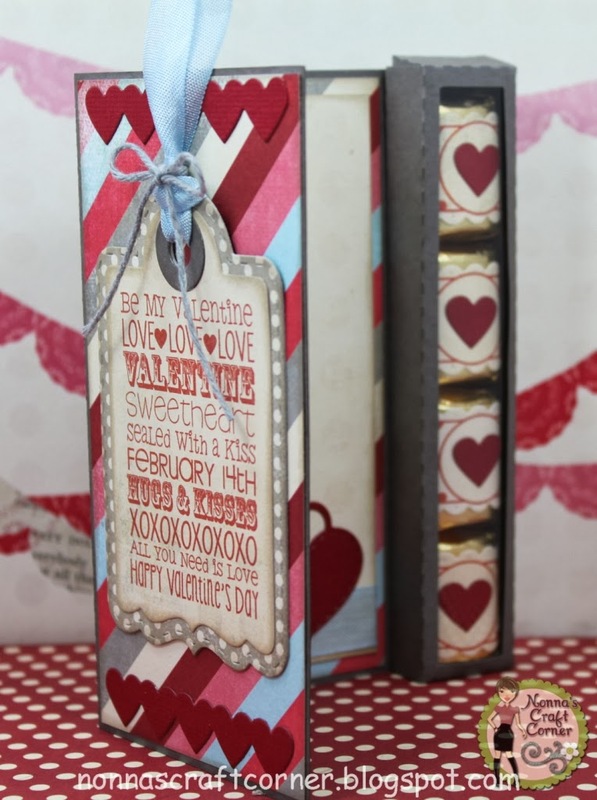 You just blew my mind with this SUPER Sweet Treat!! Did not know about that file...As for the inside card..it is just GORGEOUS!!! You crack me up Tanya! I'm sure it'll be just fine! Go paint and make your space BEAUTIFUL! :o) I love your project! Very pretty with the paper and stamping! :o) Good Luck Friend! This is so super AWESOME Tanya!!! 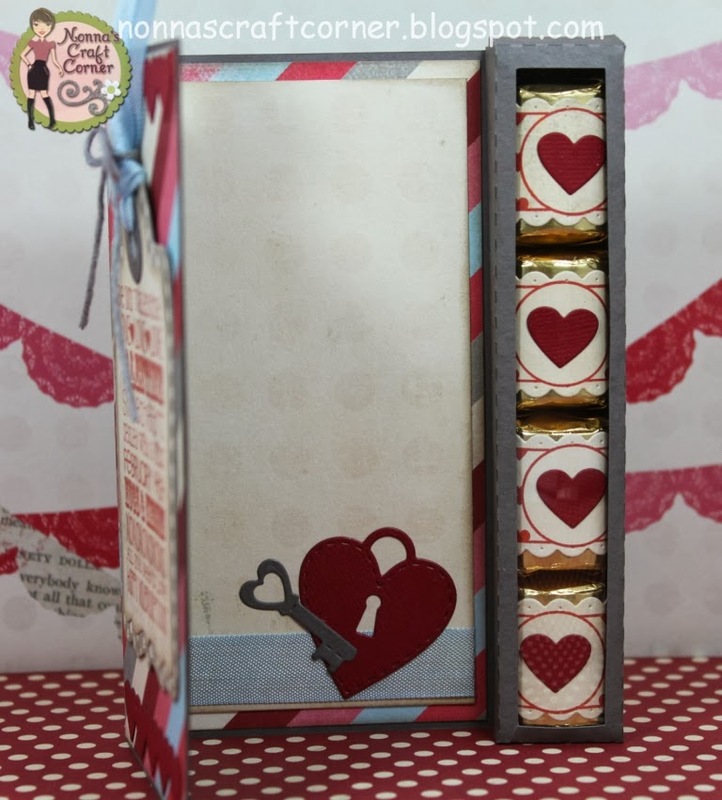 I love the files, the gorgeous papers and the great stamps and dies!!! this is adorable !! 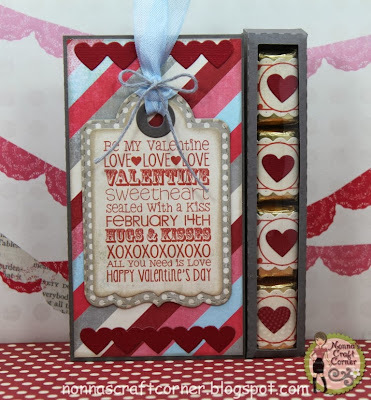 I love how you used soooo many Jaded Blossom dies and stamps ! FABULOUS !! and yes good luck on the room !! over Christmas we painted both kids rooms and I switched rooms with my daughter for my new scrap studio so I painted that too, a few trips to Ikea, home depot, and lowes ! still not done LOL but at least the kids rooms are done ☺ were just spring cleaning a little early lol thanks sooo much for linking up to the Jaded Blossom Challenge this month !!!! This is just beautiful! I love the inside of the card too! great little touch! 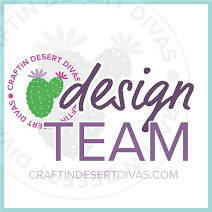 Good luck on your craft room makeover! Thanks for joining the Jaded Blossom Challenge! LOL.. To bad we don't live closer, we could have a painting party. ;) Thanks for playing along at Jaded Blossom. Your projects are always a treat. oh wow!! you rocked all of the new JB goodies!! love this card!! thanks for joining the JB challenge this month!! I am swooning! I love love this! This is AWESOME!! Thanks so much for joining us for the Jaded Blossom Monthly Challenge. Your space will be beautiful, you'll finish in no time. 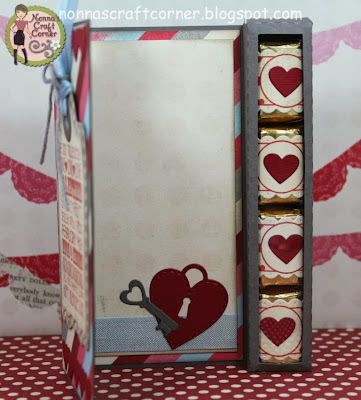 I LOVE this card and treat box. It really is special. 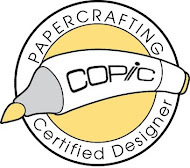 Love the papers and all the cuts and stamps you used. This is gorgeous Tanya! 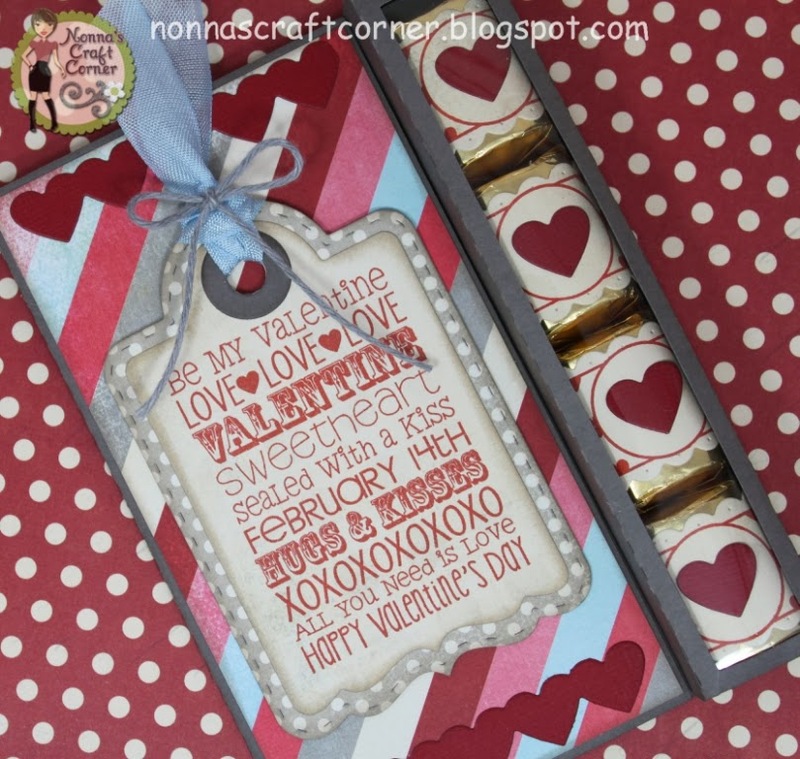 I love the papers and how you displayed that wonderful Valentine stamp! Super, duper cute!!! Love the papers the fold, everything! This is so awesome! Thanks for playing along in the Jaded Blossom Challenge! This is super cute! Great use of the dies! :) Thanks for joining us in this months Jaded Blossom Monthly Challenge! Wow! This is FABULOUS!! Love how you used the dies too!! Great job! Thanks so much for joining us over at Jaded Blossom for the Monthly Challenge! !